The wide margin between fat and protein prices has increased further and a correction is not expected in the short term, with cheese and butter carrying the market. Global milk production is expected to increase in H2 2017. In the EU, May volumes in France (-2.9%) and Germany (-2.5%) were down year on year with a poor spring and hot weather in May and June impacting. Cumulative EU milk collections were down -1.1% from January to May but are forecast to be +0.7% above 2016 levels by year end. Of note, production in the UK in on a par with 2016, milk flows in Poland are up +6.5% in June y-o-y and output is flat-lining in the Netherlands (-0.4% in June y-o-y) due to environmental restrictions. Domestic milk collections are up 6.6% from January to June. In New Zealand, expectations of strong milk prices will encourage further herd expansion with the outlook for the new season +3% according to Fonterra. Australian milk supply is slowly recovering and is forecast to grow by 2% to 3% for the 2017/18 season. Australian milk flows in May were -2.8% year on year (the best monthly performance over the current season, which will be down overall by -7.5%. Additionally, a gradual recovery in South American milk production is underway. US milk production in June increased by 1.6% year on year with a 1% increase in yield per cow and record cow numbers at 9.4 million driving production. A weaker US$ will aid export competitiveness. In Q1 & Q2, EU dairy processors have favoured cheese production with output up 1% from January to May with butter production down -6.5% and SMP output down -12% for the same period. 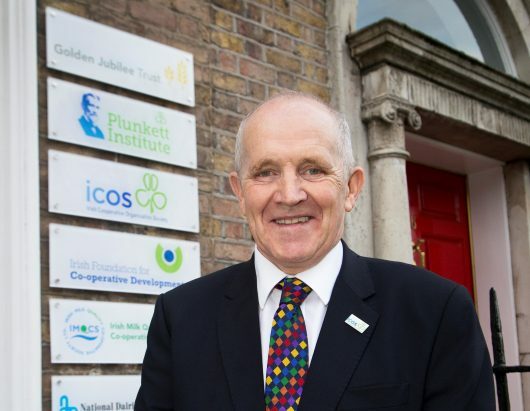 Tighter supplies has pushed butter prices to a new high in July, widening the spread between butter quotations and other dairy products further. Strong buying activity from Asian importers also underpinned cheese and WMP quotations. However, SMP prices were weighed down by sluggish demand with intervention stocks in the EU still a major factor. 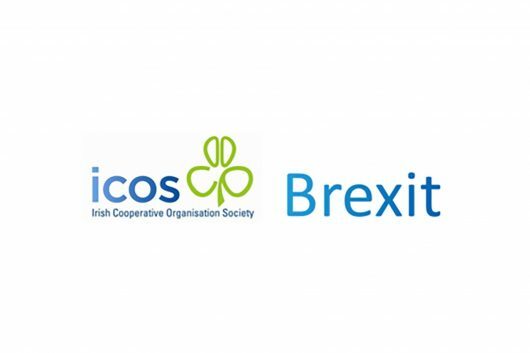 The EEX butter index in August is €6,300 per tonne, with SMP trading at €1775 per tonne. 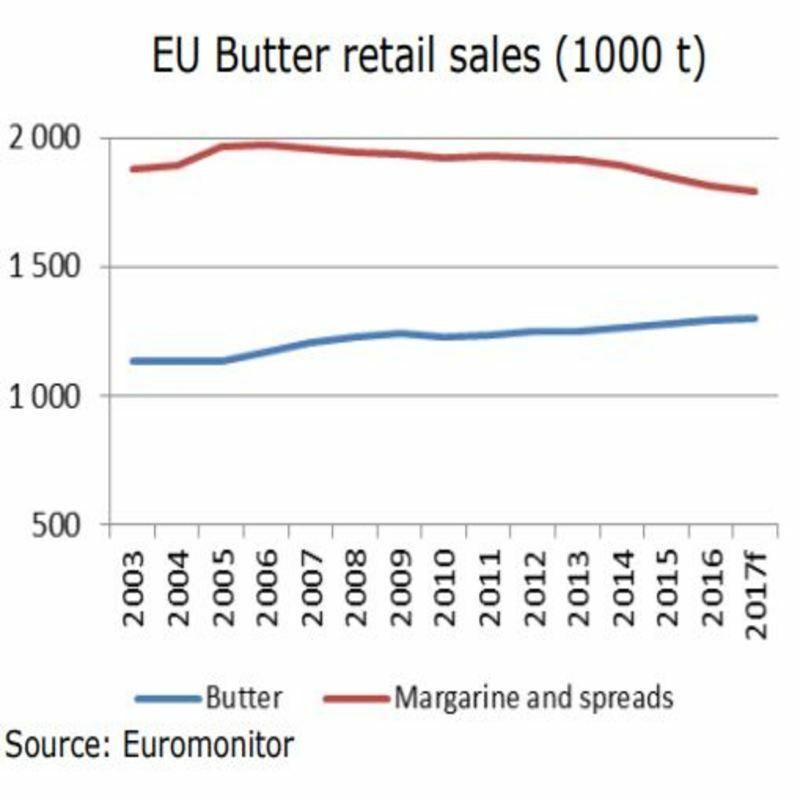 The graph below from Euromonitor reflects the growing trend in the EU towards butter consumption, with sales of margarine and spreads in decline. In the US, annual consumption of butter per person has increased from 4.9 pounds in 2010 to 5.6 pounds in 2015. 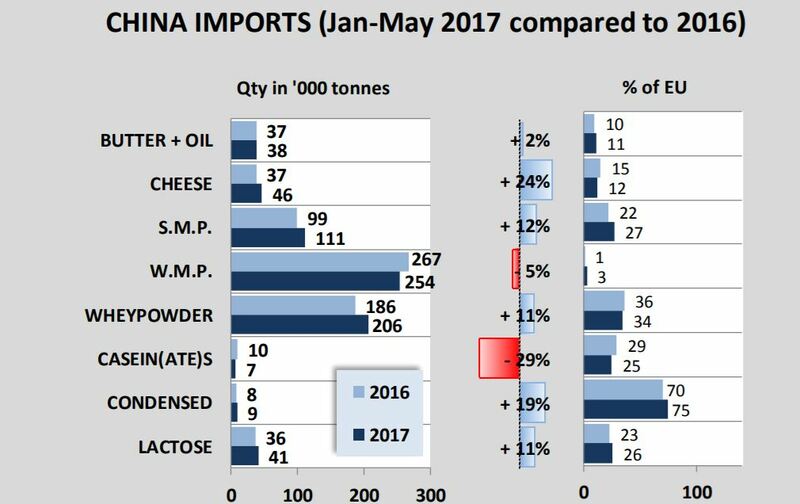 China is still the main global importer of milk powders with imports of SMP up 12% year to date, but WMP imports back -5%. Chinese consumption of dairy products is expected to slow to growth of 2% to 2.5% per annum over the next five years. The focus in future will turn more to value rather than volume. Domestically, the Chinese State has established a plan to increase domestic production from 37.12 million tonnes to 41 million tonnes by 2020.